Retargeting vs. remarketing: What's the difference? Distracted consumers are the bane of a marketer’s life. They browse your website, click on something they like, add to cart and then simply disappear. Abandoned shopping carts are a frustrating fact of online retailing. According to Barclays’ Corporate Banking Online Retail Report outlined by Campaign, potential UK buyers leave £3.5b ($4.6b USD) in their virtual shopping baskets. However, this is predicted to half in 2021 if certain measures are followed, such as improving the mobile shopping experience and re-engaging with these consumers. It’s important to remember that when a visitor comes to your website, they will not all be in the same place in the buying cycle. For first-time visitors, the current average website conversion rate is about 2%, so 98% will leave without doing anything. If they are further down the buying cycle they may go as far as adding products to their cart before changing their mind. Yet all these visitors share a common interest in what you have to offer - whatever stage they are at - so nurturing them further is crucial to conversion. The secret is to keep in touch and remind them you are still here. Visitors bounce on and off your website, perhaps reading your latest blog or downloading your ebook, and it may take them weeks to commit to the sale. Keeping your website fresh in their minds is part of this process, which is where tools like retargeting and remarketing come into play. As a consumer, have you ever been on a website and an ad appears for a different website you have previously visited? The first time this happens you may think it is a little spooky, but this is the premise of Google retargeting. Retargeting works by using cookies, allowing you as an advertiser to retarget an already-interested audience who has previously visited your site. Retargeting ads differ from normal banner ads as they specifically target visitors or leads in your database. There are a couple of different ways this can be done. When a visitor comes to your site, a small piece of code is added to their browser in the form of a tracking cookie. The visitor then leaves your site and goes elsewhere. The cookie then talks to social media retargeting platforms or search engine retargeting platforms, which then show ads based on specific pages from your website on the web page your visitor is now looking at. Pixel-based retargeting has the advantage of time, as visitors are retargeted very quickly after leaving your site. If you have an existing list of contacts, you can use these specifically on your retargeting campaign by uploading them onto the platform you are going to use (e.g. Facebook). When any of your users interact with the social media platform, they will be recognized and a retargeting ad is directed at them. The advantage of this method is that you can customize it easily, as you are choosing who sees it. It also means these leads are very warm and therefore likely to be receptive to your ad. This, in turn, will help maximzse your ROI. There are issues with this form of retargeting, however, as consumers may have more than one email address so they may have used a different email and ultimately won’t see your ads. The match rate of your email list can be very varied, so you need a large list to consider this option, as well as more time to maintain it. Retargeting campaigns can also be based around different formats, namely, site retargeting or search retargeting. In the former, a visitor who goes to your website but does not convert is then retargeted with display ads. Search retargeting is aimed at visitors who have found you via a keywords search. They are then retargeted based on the keywords they used to search. Contrary to popular belief, remarketing is not just another term for retargeting. Although the terminology gets somewhat confused and misused, remarketing works by sending email campaigns to visitors who have browsed your website or abandoned their cart. Remarketing can also be used to upsell and cross-sell to existing customers. This can be approached in several ways. Sending remarketing ad emails based on browsing history is one method, or a reminder that there are items in their basket is another approach. Remarketing is favored by many of the big companies, including Amazon. Agilone surveyed 150+ leaders in retail marketing and discovered their largest marketing channel was email, with 77% investing in this form of marketing in 2015. Agilone also surveyed consumers and discovered that consumers not only love personalized contact from the brands they follow but have come to expect it. They appreciate being contacted regarding their abandoned cart and welcome a discount to check out their products. All of which is positive news for online retailers using remarketing. As with all marketing methods, there are a few challenges with both retargeting and remarketing. However, being aware of them and taking counteractive measures ensures they need not have a negative impact. One of the biggest concerns is that too much exposure may annoy consumers, but putting a limit on ad frequency deals with this effectively. Consumers also tend to become ‘ad-blind’ if exposed to the same ad frequently, so keep ads fresh by changing them regularly. Be aware that consumers will be at different stages of the buying cycle, so if your cookie length limits the time your ad is shown you may miss buyers who are not ready to purchase during the time period your ad is displayed. The defauly cookie length is 30 days, but this may need to be tweaked to suit your consumers. If you have several different products, using segmentation for retargeting can increase your chances of conversion. Your visitors will not all be focused on the same product, so use segmentation to target them more specifically. Segmentation can also be used to retarget consumers that have requested out-of-stock products. It can additionally be utilized with good effect to ensure previous purchasers are not retargeted to buy. Instead, consumers can easily be retargeted with related products instead. One of the biggest challenges facing remarketing is that people don’t always open, read or act on their emails. A good way to overcome this is to create eye-catching subject lines that beg to be read followed by content that is pertinent to the reader, creating a strong desire to act. Many companies offer a discount on abandoned carts within a certain timeframe, generating a sense of urgency. Another method is to offer free delivery to encourage completing the sale. These can be strong call-to-actions to utilize within the subject. Emails being sent to the spam box is another issue to be aware of. When your visitors originally sign up, request they add you to their white list to prevent your emails being automatically sent to spam or junk. Ensure that when writing emails, use words not targeted by spam filters. Spam filters are on the look-out for words such as buy, earn, cheap, subscribe and many more. You will find a good list here. For effective remarketing, use segmentation. Sending the right email to the right subscriber is likely to increase your click-through rate. Customize the content depending on the action of your consumer, whether that be bouncing off the site, or cart abandonment. As a huge percentage of your traffic leaves without making an immediate purchase, retargeting and remarketing are both effective methods to use to keep your business in the minds of your prospects. But is one more effective than the other? According to Digiday, the average click-through rate for retargeted ads for certain brands is about 10% higher than display ads. Other companies have seen a 50 to 60% conversion rate, whereas others state that consumers who have already expressed an interest are 20% more likely to buy. 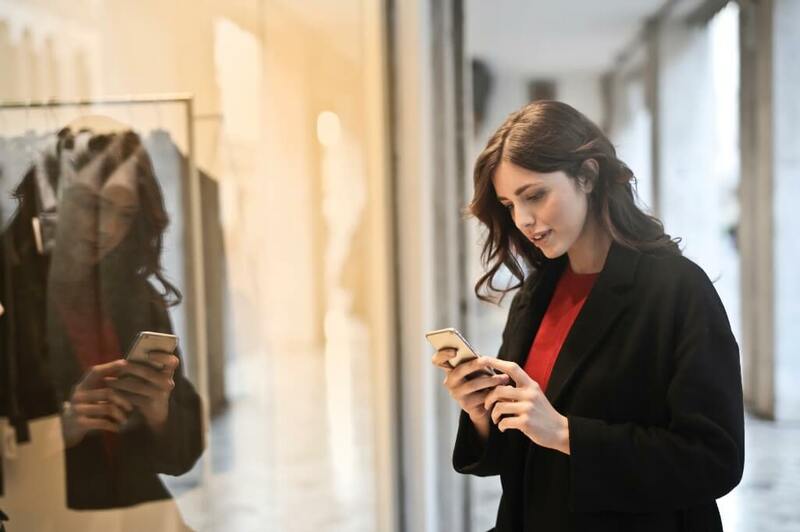 Remarketing email campaigns generate higher conversions for cart abandonment, particularly when they occur within an hour of the visitor leaving the site. Reaching out to customers this quickly through their inboxes is considered one of the best ways of remarketing to them within the timescale. There is no guarantee, if using only retargeting display ads, that they will see them or react within that crucial first hour. Although both are aimed at a similar audience (i.e. visitors to your website), they have slightly different effectiveness depending on the segment they are being used to target. Remarketing seems to be effective for the consumers who have already shown themselves to be very interested in your products, but by abandoning their basket they are not quite ready to buy. Remarketing in this situation can be used in a very personal way, aimed at helping the consumer overcome his barriers to buying. It relies on high engagement levels and understanding why the visitor did not buy at that time. Retargeting focuses on consumers who aren’t as far in the buying cycle but have still expressed an interest. It works by keeping them aware of your brand so when they are ready to buy, they have already got a level of trust in your brand through their exposure to your ads and their visits to your website. Which tool you decide to use depends upon the individual situation you want to address. You can, of course, use both, as they can complement each other very well. Build a level of awareness with your interested audience with retargeting, and then use remarketing to capture and convert customers at the last stages of the buying cycle. To make the process easier there are many affiliates who offer remarketing and retargeting as a service and can help advertisers get on board with this. If you’d like to know more about how you can incorporate remarketing and retargeting on your affiliate program, please get in contact with your Awin account manager. Bear in mind it is not an exact science. To be effective long term follow a process of monitoring and tweaking, rather than just setting the tools up and leaving them to their own devices. Over time you will come to learn what works best for you. Please note that it is your responsibility to ensure retargeting campaigns are carried out in accordance with all applicable privacy laws and in particular that consent is obtained where required.